Introducing an extra fragrant Kung Pao Sauce that let you cook genuine Sichuan food in your own kitchen! 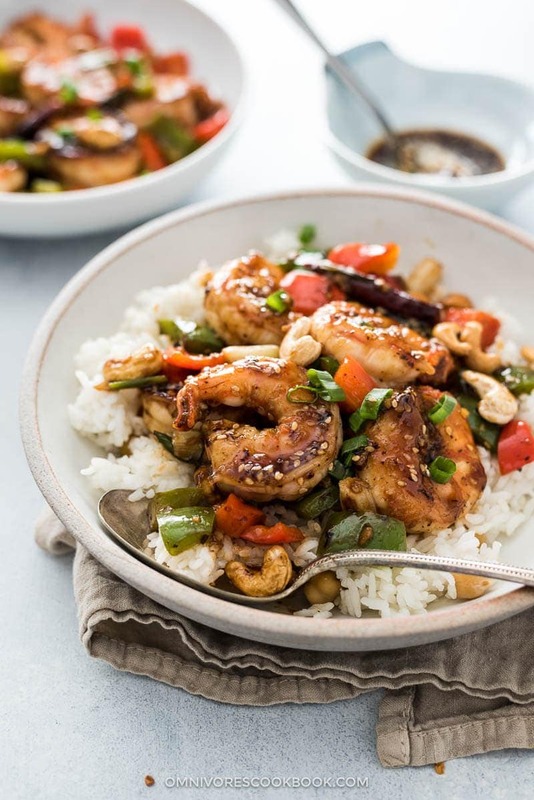 Kung Pao sauce is such a popular and classic sauce that every chef has their own interpretation. It can be extra spicy, more savory, or syrupy. The version I like the most is the type that balances savory, sweet and spicy with a gentle numbing sensation and a little extra sour kick. 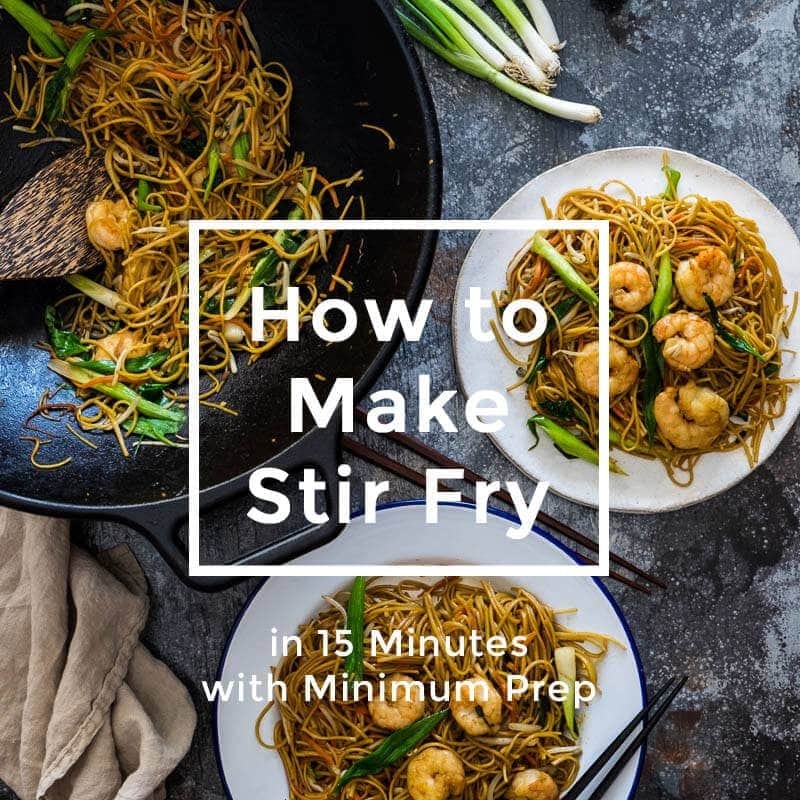 If you’ve never cooked a stir fry before and feel intimidated by words such as “wok” and “cook with high heat” – now is your chance to cook your favorite takeout dish by following three simple steps. Prepare the stir fry sauce by using the recipe at the bottom of this post. Prepare one protein and / or one vegetable ingredient. Cook the protein and vegetables until they’re just done, pour in the stir fry sauce, and mix well. 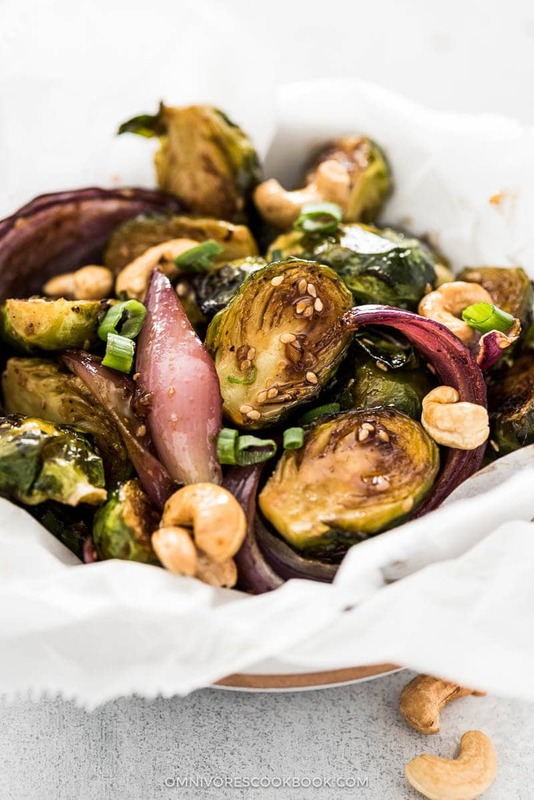 To see how to use the Kung Pao Sauce in practice, check out my Kung Pao Shrimp and roasted Kung Pao Brussels Sprouts recipes. Why roasted? Isn’t this a stir fry sauce? That’s right! 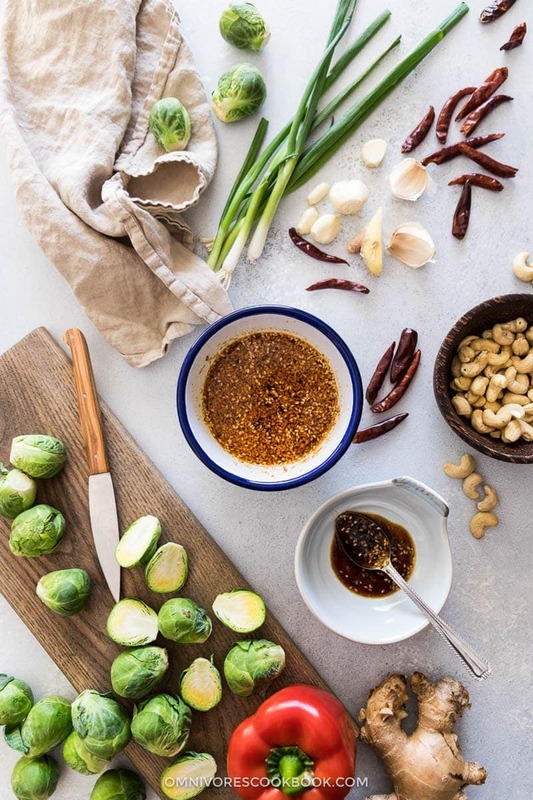 You can use the same stir fry sauce to make many other easy and delicious dishes, including roasted veggies! Sichuan Peppercorns and Sichuan Chili Peppers are the two crucial ingredients that make this sauce stand out. Although my recipe calls for chili flakes and ground Sichuan peppercorns, you will get a much more fragrant sauce if you use whole spices. Fresh Sichuan peppercorns are extremely fragrant. Opening a jar of Sichuan peppercorns is like opening a perfume cabinet, only the aroma lingering around your nose is numbing, tingling and refreshing like mint. They add a savory, smoky and slightly citrusy flavor into the sauce that makes genuine Sichuan food. The peppercorns are a must-have item in my pantry. 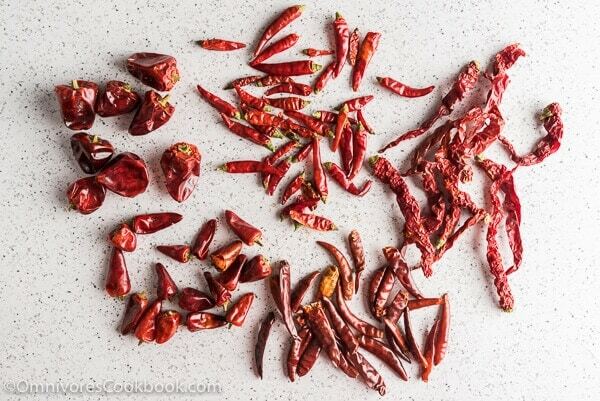 Real Sichuan food uses different types of chili peppers to adjust heat level and smokiness. Just like making a proper pot of chili, you start by selecting a combination of chili peppers to set the tone of the dish, toast the peppers to release their aroma, then grind them down. The same logic applies when dealing with Sichuan peppers. 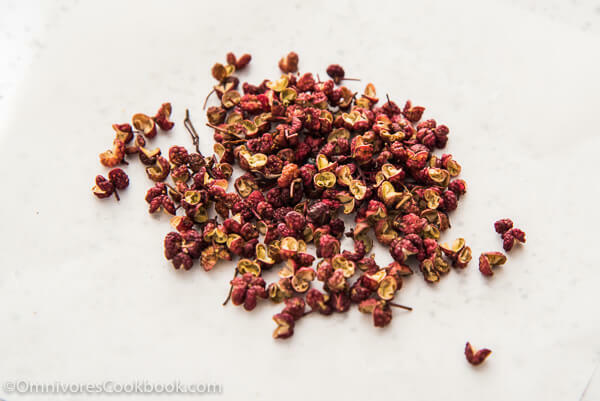 To make the chili flakes and ground Sichuan peppercorns, toast them separately in a small saucepan until the color darkens slightly and the spices release a strong fragrance. Transfer them to a plate to cool completely, and then grind them up in a coffee grinder. Place in an airtight jar and store in the fridge. You should always prepare them in small batches, because these spices lose fragrance very fast. Assuming that you’re going to make 2 servings, you can use 450 grams (1 pound) protein, or 6 to 8 cups vegetables, or 220 grams (1/2 pound) protein and 3 cups vegetables. You will need 1/4 to 1/3 cup homemade Kung Pao Sauce. (1) Choose and cut the protein. (2) Marinate and prep the protein. For each pound of meat or seafood, mix with 1 tablespoon vegetable oil (or peanut oil), 1/4 teaspoon salt, and 1 tablespoon cornstarch. Let marinate for 5 to 10 minutes. To create restaurant-style crispy chicken, learn this method so you can achieve the same texture without deep-frying. For tofu, marinate with 2 tablespoons soy sauce and 1 tablespoon syrup (or honey) for 10 to 15 minutes. Drain and coat with a thin layer of cornstarch. See this post to learn how to cook crispy tofu without deep-frying. 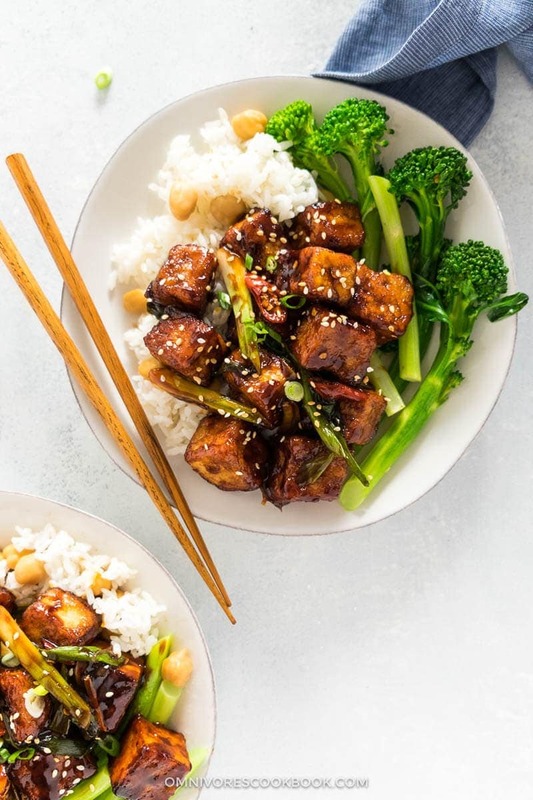 Click image to learn how to cook crispy tofu without deep-frying. (4) Cut and prep the vegetables. To make a quick dinner, my favorite way is to only use one type of vegetable. You can use two, but ideally no more. Broccoli (frozen) – Microwave for 2 to 4 minutes (depending on the quantity), so the broccoli is thawed and lukewarm, but not hot. English cucumber – Seeded, then sliced or diced. (5) Make the stir fry, or use the stir fry sauce on baked food. Read this post to learn the basic steps of making Chinese stir fry. Note: the recipes below are developed using other types of stir fry sauce. To give them a Kung Pao flavor instead, simply replace the sauce in the recipe with this Kung Pao sauce. If you give this recipe a try, let us know! Leave a comment, rate it (once you’ve tried it), take a picture and tag it @omnivorescookbook on Instagram! I’d love to see what you come up with. Combine Chinkiang vinegar, light soy sauce, Shaoxing wine, sugar, cornstarch, and salt in a small bowl. Set aside. Add peanut oil, chili pepper flakes, and sesame seeds in a sauce pan. Cook over medium low heat until it reaches a gentle sizzle. Turn to medium low heat. Cook and stir until the chili powder turns dark brown (without turning black). If the oil start to bubble fiercely, remove the pan from the heat. Add ground Sichuan peppercorns, garlic and ginger. Cook and stir for another 30 seconds to release fragrance. Stir the vinegar-based sauce with a spoon to dissolve cornstarch completely. Carefully add to the saucepan. Cook and stir until the sauce thickens just enough to coat a spoon (the sauce will thicken once cooled down). Transfer to a bowl immediately. Once the sauce is cooled down completely, transfer to an airtight jar. Store in the fridge for 1 to 2 weeks. Store the sauce in the freezer for longer period of time. Chinese and Korean chili flakes are quite mild and are suitable for using in this sauce. If you’re not sure about the heat level of your chili flakes, start with 1 teaspoon chili flakes so your sauce won’t turn out too spicy. Alternatively you can use 1 teaspoon cayenne powder. Omnivore's Cookbook is a participant in the Amazon Services LLC Associates Program, an affiliate advertising program designed to provide a means for sites to earn advertising fees by advertising and linking to amazon.com. Hi I'm Maggie Zhu! Welcome to my site about modern Chinese cooking - including street food, family recipes, and restaurant dishes. I take a less labor-intensive approach while maintaining the taste and look of the dish. I am originally from Beijing, and now cook from my Austin, Texas kitchen. I can’t wait to try this! 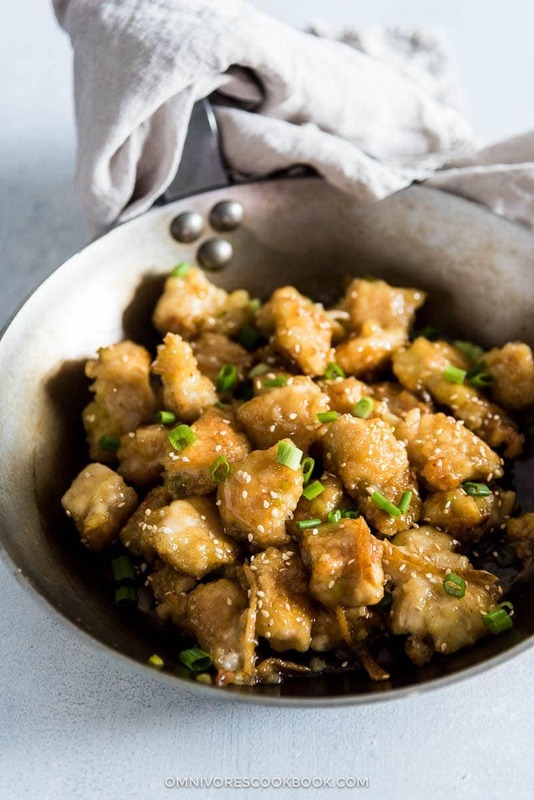 We’ve loved your General Tso’s sauce recipe and use it all the time. Our favorite stir fry with it has been chicken, onions, and scallions. Hi Jennie, I’m so happy to hear that you like my General Tso’s sauce recipe! In this case, you’ll definitely like the Kung pao sauce as well 🙂 It goes great with chicken and onion too. Happy cooking and let me know how the dish turns out! I haven’t cooked any of your recipes yet. Just want you to know that your Traditional Chinese Cooking Blog is the best on the internet. Refreshing to have a Chinese Cook that can make traditional Chinese dishes as well as to give a more culinary flavor to your own. dish towel in your Kung Pau Recipe, it takes away from your succulent food shots. from an old Chinese guy born in the USA. Hi Eric, thanks for your kind words! I’m hoping to let more people understand Chinese cuisine, so sometimes I change things up to make it more accessible to western audience. I’m glad to hear that you still considering those dishes traditional Chinese cooking. It means a lot to me! And noted about the dish towel! Sometimes I just tried too hard to make the pictures look occupied. I’ll need to remember less is more. 2018 is the year that I follow through and increase my knowledge from only creating stir fry into more complicated dishes. Although eggplant is not more complicated, it is what brought me to your website. I had been looking for a good eggplant recipe . I was introduced to eggplant parmesan and Thai eggplant and came to realize each culture has its own take on eggplant… So here I go. Absolutely delicious! The fragrance alone is irresistible. I made it last night and used it with your brussels sprouts recipe, and everyone loved it. How long will the sauce keep in the fridge? I would really like to know what is Chinkiang vinegar. Is it red or rice vinegar? Your blog is awesome and inspired many dinners using your recipes. Thanks! A terrific sauce with great depth of flavor. Made this sauce yesterday for Chef Zhu’s Kung Pao Shrimp last night for dinner. Had this stir fry over pan fried noodles. The sauce certainly makes the dish. With plenty of sauce left over I’ll be having another Kung Pao dish soon. 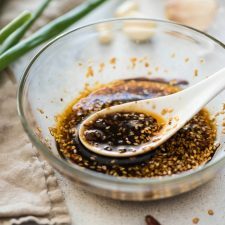 For 2 – 3 years I’ve been making Chef Ming Tsai’s Kung Pao sauce which had been receiving mixed reviews: my roommate is a female critic from Canton. 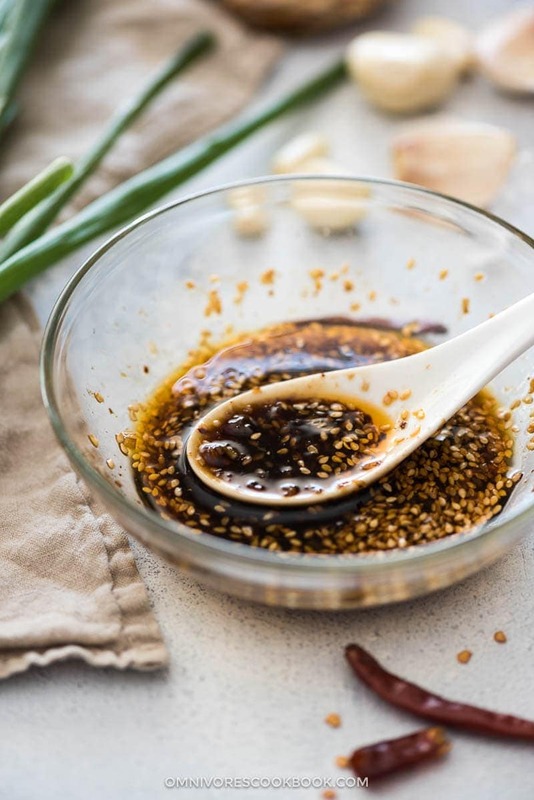 A major difference is that Chef Zhu’s sauce has far less soy sauce: 1/4 cup light vs 1 cup of dark sauce, hence Chef Zhu’s is far less salty and allows the flavors of the fresh herbs/seasonings to come through and brighten the dish. Chef Zhu’s list included “2 ginger , minced large slices” which puzzled me but since “the more the merrier” with fresh fragrances I opted for 2 tablespoons minced and the results were … well I covered that. Hi Rob, glad to hear you like the recipe and thanks for pointing out the ginger part. I’m slowly transforming my recipe using a different format so the wording got messed up sometimes. Just updated it! It’s VERY RARE that I find an authentic recipe and make it a keeper. This is one of those rare ones. Just made this and it’s a 5 Star one !! It does help having all authentic ingredients. Thanks SO much for sharing this. I’m going to subscribe so as not to miss a recipe. Welcome to my site about modern Chinese cooking, Asian inspired dishes, and classic recipes cooked in my small Austin Kitchen. When it comes to cooking, getting the best taste is always my priority, but I try to take a less labor-intensive approach. Originally from Beijing, now I live in the US and travel around the world. Start browsing recipes right away or you could learn more about me here.